Thank you to everyone who came out to our open house on Thursday night and placed bids on our auction items. The night was a huge success! If you weren’t able to attend our open house, click this link to make a donation and help us get closer to our fundraising goal. Every little bit helps! This Saturday, we’re hosting a FREE workshop for kids aged 7-12 at the Amesbury Park branch of the Toronto Public Library as a part of the TD Summer Reading Club series. Together, the kids will brainstorm, write, and illustrate a unique story and watch it come to life with the help of a typist and professional artist. At the end of the workshop, everyone who helped write the story will leave with a copy of his or her very own story in book form! Registration is required for this workshop. Contact us at info@storyplanet.ca to sign up! Friends, followers, students, and extraterrestrials, we have a bittersweet announcement to make. Joe Lasko, program coordinator extraordinaire will be blasting off from Story Planet this week to pursue a teaching career. You’ll probably see him around your school from time to time but, after this week, he will no longer be working full-time for Story Planet. Joe, since you started here, you’ve been an inspiration to our students, an occasional character in our stories, a great friend to many, and an out-of-this-world member of our team. Thanks for everything you’ve done for us, best of luck, and make sure to visit very soon! Over the next few weeks, our storymaking app team (their official team name is TBA) will be creating an app that’ll help kids like them create and share their stories. Last week, our app builders tested out some already existing storymaking apps to figure out what they liked, what they didn’t, and what kind of features they could include in their app to make it even better. This week, they had their first official training session, learning about the design process, prototyping, and how to test a prototype for bugs and other problems. It’s early yet, but we’ll keep you posted on their progress. We can’t wait to try it out! Friends, supporters, volunteers, and followers, thank you for helping us reach 1000 followers on Twitter! We are over the moon excited that so many of you are interested in our programming. If you’re not following us yet, find us @StoryPlanetITA for updates about our upcoming programs, live-tweets during fundraising events and original quotes from our hilarious students that you’ll want to retweet to all of your friends! Don’t have Twitter? Find us on Instagram @storyplanetita or Facebook at facebook.com/StoryPlanetTO. We’re hosting an open house on Thursday, June 18 from 6-9 to show off the awesome work our kids have been doing, answer all your questions about our programming, and raise money to get two of our student publications published. With your help, our students will be able to see their books come to life! To sweeten the deal, during the event, we’ll have lots of free food, free beer, entertainment, and silent auctions for you to participate in. Come on by! Great news! Story Planet was one of 25 projects to receive funding through the .CA Community Investment Program. 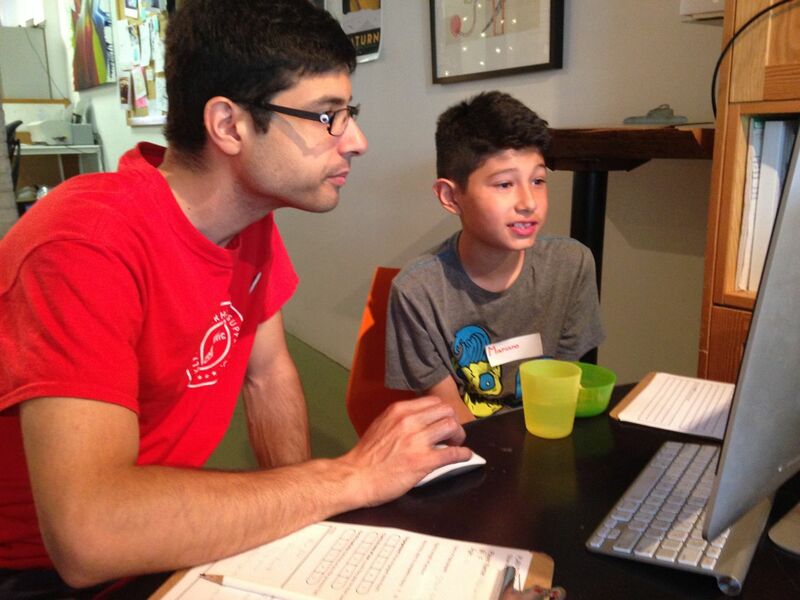 We will be offering free workshops throughout the summer taking a team of intrepid 7-10 year-olds through software design basics — from techniques for brainstorming and developing ideas to design and coding fundamentals. Full release here. For more information on the .CA Community Investment Program, please visit cira.ca/cip. For more information about Story Planet’s programming, stay tuned to our news feed or contact liz@storyplanet.com. Thanks again to the CIRA Community Investment Program for supporting our programming! Adult writers, are you working on a new book? Bring your first page to our next Write Space Workshop with award-winning author Joseph Kertes. During this workshop, the other writers around the table will act as editors and read the first page of your manuscript. After that, the class will discuss what they thought about your project so far and whether they were compelled to turn to page 2. Space around the writer’s table is limited. Each seat costs $50. Click on this link to find out more about the workshop and to reserve your spot! Are you curious about Story Planet and our programming? Stop by on Thursday, June 18 at 5pm for our open house! We’ll have food, drinks and answers to all of your burning questions. If you can’t make it to our open house, follow us on Twitter, Facebook and Instagram to receive updates on our upcoming programming or contact Liz at liz@storyplanet.ca for more information. .CA Community Investment Program supports Story Planet! Toronto, June 1, 2015 —With funding support from the .CA Community Investment Program, Story Planet will be hosting workshops with young designers on June 5, 13 and 20 to create an original story-making app that will empower kids to share their stories online. Story Planet is giving young people between the ages of 7-10 tools to design and create technology in an effort to help them better understand, use and appreciate it. 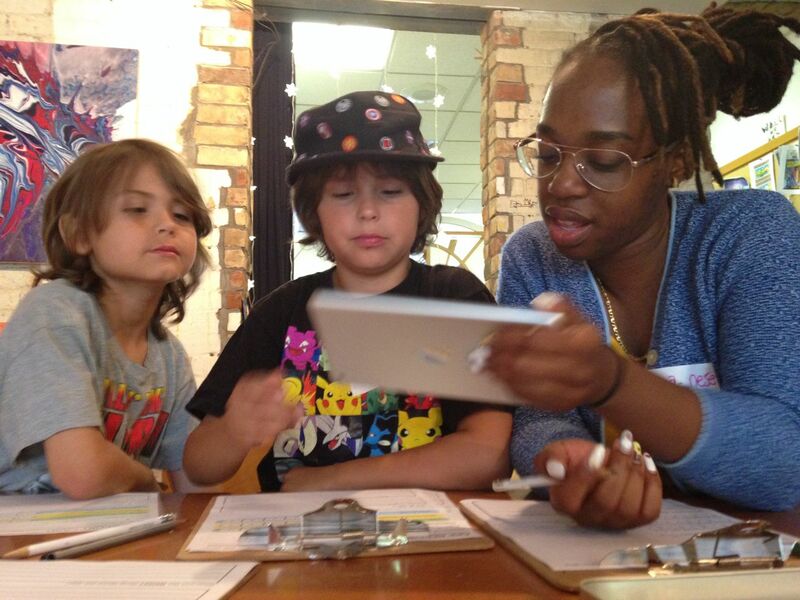 Many children face barriers with writing and creating, but by working with them to design, test and prototype a digital tool, Story Planet is building something that speaks to young people’s interests and inspires them to create. Learning through the arts increases engagement and aptitude to learn and decreases the likelihood of participation in at-risk behaviour. Story Planet was one of 25 projects funded through the .CA Community Investment Program. 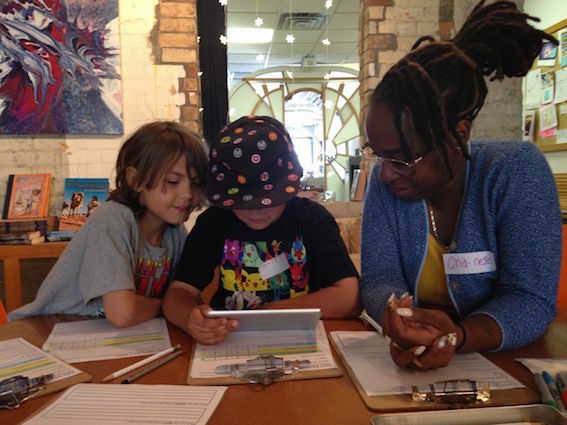 Story Planet will be offering free workshops throughout the summer taking a team of intrepid 7-10 year-olds through software design basics — from techniques for brainstorming and developing ideas to design and coding fundamentals. 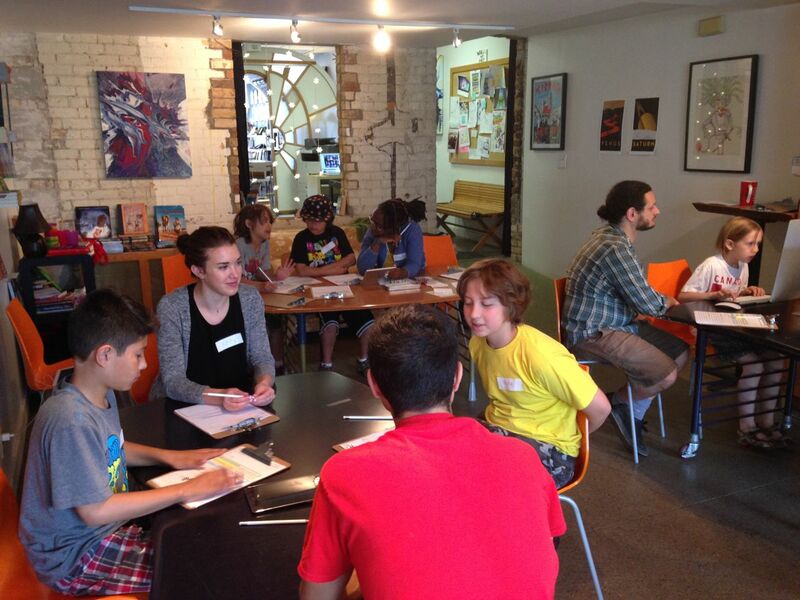 About Story Planet — Story Planet is a charity that offers free writing and creative workshops for underserved children and youth in Toronto. At Story Planet we strongly believe in giving young people a voice. With this exciting project we believe the kids involved will develop new skills and confidence that will enable them to see technology as a new avenue to express themselves. CIRA is the perfect partner for this initiative and we are thrilled to see this journey begin! Story Planet is located at 1165 Bloor Street West (Dufferin & Bloor Station). Through the CIRA Community Investment Program, CIRA funds projects that demonstrate the capacity to improve the Internet for all Canadians. The Canadian Internet Registration Authority (CIRA) manages the .CA top-level domain, Canada’s online identifier, on behalf of all Canadians. A Member-driven organization, CIRA represents the .CA registry internationally.